The Caddis Fly Shop offers the full range of Beulah Fly rods backed by superior customer service: NO SALES TAX, and FREE domestic SHIPPING. The Caddis Fly Angling Shop is pleased to note that we deliver a wide selection off Beulah fly rods from inventory and by special order. 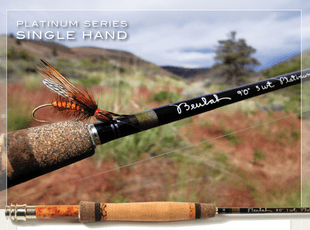 Beulah fly rod reviews consistently support the quality and on-water performance of these single and two hand fly rods. Beulah fly rods are built on custom mandrels, using custom blends of hi-tech materials including just the right blend of graphite and glass scrims, and custom resins. Beulah fly rods are known for beautiful, durable hardy cork handles, a stunning finish and superior components. Performance of Beulah fly rods: our customers report that they love the way these fly rods cast, fish, and deliver fishing enjoyment. 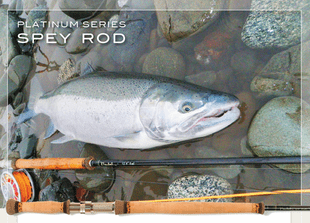 It's that simple; a great fly rod at a great price. 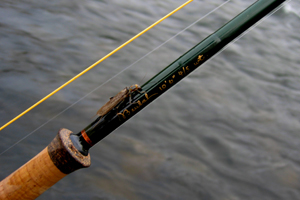 Selecting your ideal Beulah fly rod? We invite to call or email and allow us to assist in your search for the perfect Beulah trout, Switch, or Spey rod.